We’ve added shadows to the game. You’ll notice a new graphics configuration option to control the quality level of the shadows. PvP is now allowed on all worlds. There are no more PvP worlds. All Unique and Mythic drops are now Membership Required. Kings Coin purchases are, as always, usable by anyone. While non-paying customers lose access to some upper tier items, they’ll no longer have an ad eating up screen real estate. I logged in to get a look at the new shadows (they look great) and about half of my items were ineffectual, but I think losing the ad is a fair compromise. Besides, I wouldn’t sweat five dollars per month if I were to play regularly again. 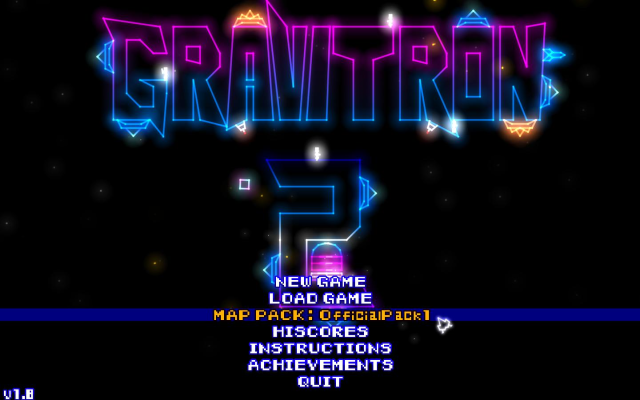 An update for Gravitron 2 has just been released in the form of a 15 level map pack. 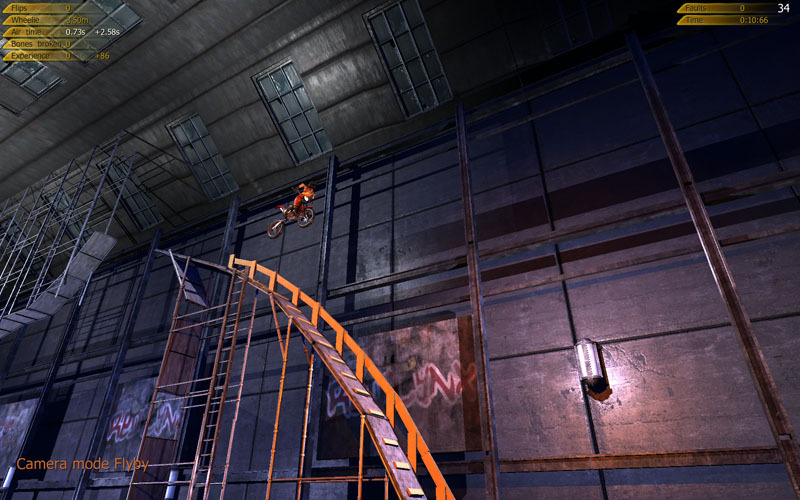 These new levels can be accessed from the game’s main menu by cycling the “Map Pack” setting. Be advised that starting a game on the new map pack will overwrite your progress on the original map pack and you’ll have to start over. Steam users will get this update pushed to them automatically. If you purchased Gravitron 2 directly from the developer’s site you’ll now find a patch available there. I’ve played Trials 2: Second Edition for well over four hours, cumulatively. In fact, this week alone I have played for just over five. I keep finding myself coming back to Trials 2 because the developer, Redlynx, seems pretty intent on keeping it up-to-date and filled with brand new content in the form of free updates. Since I first posted my original Trials 2 article, it has been patched twice from 1.06 to 1.07, and finally this last week to 1.08. With these updates comes engine improvements and optimizations, stability tweaks and most importantly, new downloadable tracks. Version 1.08 of Trials 2 was delivered on September 18th with netbooks like the ASUS Eeepc and MSI Wind in mind, featuring a slew of graphics engine updates including a low graphics mode and VRAM usage optimizations. Trials 2 has also been certified for triple-display gameplay at resolutions up to 5040×1050 (somebody do that and send us pictures). Additionally, 14 new tracks were added for free. As a result of the graphics engine additions, changes and optimzations, Trials 2 also has a new set of minimum recommended system requirements. Those revised requirements as well as the rest of the lengthy 1.08 patch notes can be viewed at the official Trials 2: Second Edition forums. 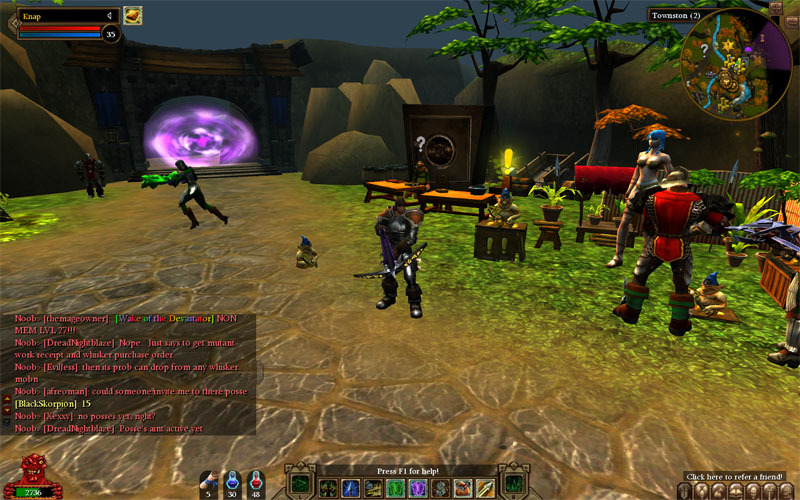 In spite of rumors of its impending demise, Dungeon Runners – a free-to-play MMORPG featured here at DoSu – continues to be supported by the remaining developers of NCSoft Austin. A major update was released today that adds guilds (called “posses”), player blogs (pages that track character progress similar to the service that SOE offers for their games), as well as several engine updates, including a refinement of their shader system and the addition of specular lighting. Full patch notes are available at the game’s official website.